As the always-busy holiday season approaches, you’ve got a lot on your to-do list. There’s shopping, visiting family (whether you’re hosting or traveling), and even cooking, all while fitting this into your normal daily schedule and concerns. You don’t want to have to worry about a fungal toenail infection on top of all that. Fortunately, there are plenty of ways for you to help control your toenail fungus, even when you’re busy. Fungal toenail infections develop when a microscopic bacterial or fungal pathogen gets under your nails. This infection can be easy to catch and hard to get rid of. It can come from normal bacteria or fungus on your skin or from a contaminated surface. Warm, sweaty feet provide an ideal environment for the infection to thrive under your nails and cause damage. Don’t wear the same shoes every day– Let your shoes dry completely between uses so the fungus can’t continue to fester in the sweaty leather or fabric. Use clean socks – Always wear clean, moisture-wicking socks to reduce the fungus-friendly atmosphere around your toes. Treat your shoes – Fungus on your toes gets in your shoes, too. Use anti-fungal sprays or powders to help kill the infection in your shoes so it doesn’t get back on your feet the next time you use that footwear. Keep nails trimmed – Trimming and filing down thickened keratin can help topical medications reach the infection more effectively. 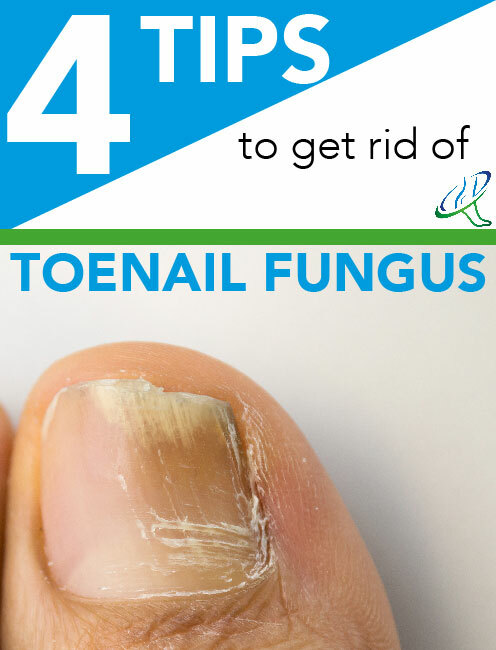 Toenail fungus is a stubborn infection that can be challenging to eliminate, but even little steps can go a long way toward treating it. If you think you might have a fungal nail infection, let our experts at Dallas Podiatry Works examine it right away so you can quickly begin taking care of the problem. Contact our offices in Dallas and Plano, TX, for more information or to schedule a consultation with us. Call (972) 566-7474 to reach our Dallas office, or (972) 943-3323 for our Plano location.